Lions and tigers and bears, oh my! I normally don't really go for cutesy clothing. But in the case of the latest trend -- cute animal sweatshirts -- I'm making an exception. Why? Because they're just so darn adorable, obviously! 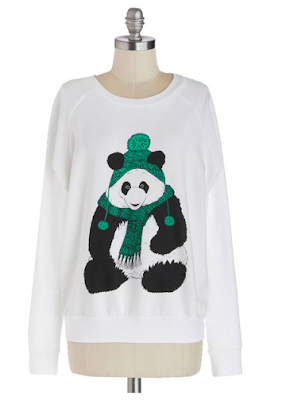 From penguins and rabbits to panda bears and ponies, sweatshirts are taking a turn for the sweet and girly. 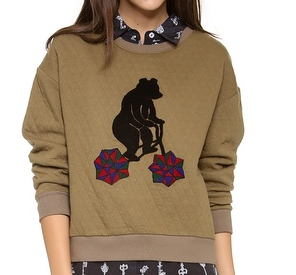 (Just check out the Stripe By N Bear Quilt Sweatshirt above for proof.) See some of my favorite takes on the trend below. 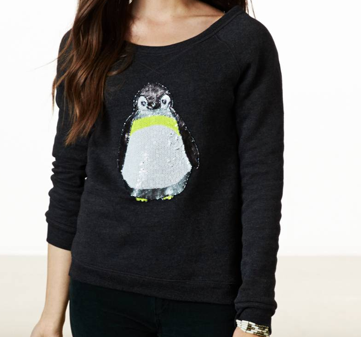 A sparkly penguin lends a festive flourish. 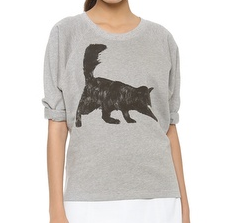 A black cat crossing in front of you is supposed to be bad luck ... but with a sweatshirt this cute, I'll take my chances. 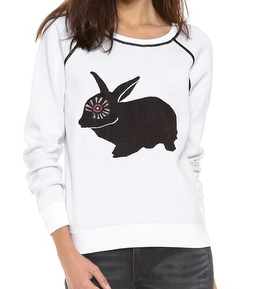 I'm actually not the biggest fan of rabbits, but in the case of this knit cutie, I'll make an exception. 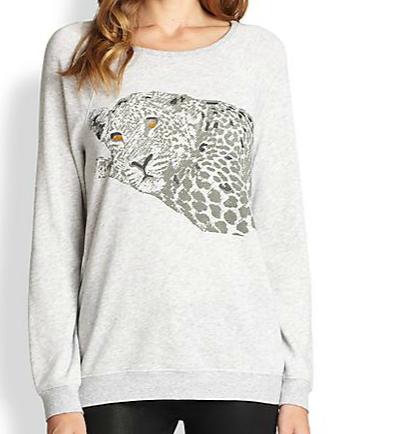 I love that the cheetah on this sweatshirt looks so unassuming. Don't let the chill get you down -- this sweet panda is here to warm you up.